Now, a single one of those subsidiaries — tZero — is worth more than the entire Overstock company, after Chinese private equity firm GSR Capital invested $270 million to purchase a 15 percent ownership stake in the security token exchange operator at a $1.5 billion valuation. According to the full term sheet, GSR will also purchase 30 million tZero security tokens for $30 million, as well as 3.1 million shares of Overstock common stock for just under $105 million. Previously, GSR purchased $160 million worth of tZero tokens in June during the startup’s initial coin offering (ICO), bringing the Hong Kong firm’s total investment in the Overstock network to more than $560 million. 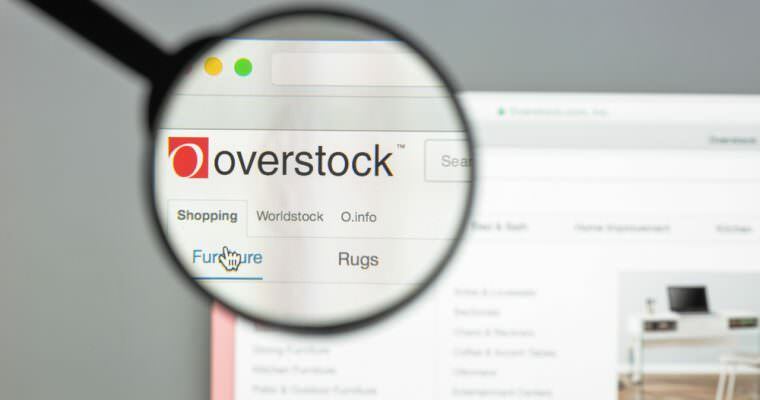 Overstock shares soared 15 percent on Friday morning following the Thursday announcement, peaking at an intraday high of $48.00 as of the time of writing. Following that rally, Overstock — whose shares traded below $20 one year ago and have largely tracked with the trajectory of the cryptocurrency market since — now has a market cap of approximately $1.34 billion, a full $160 million less than tZero, of which Overstock subsidiary Medici Ventures in an 80 percent owner. According to CNN, D.A. Davidson analyst Tom Forte has said that Overstock’s blockchain investments now comprise about 60 percent of the firm’s total value and that he believes OSTK shares will rise to $112, an almost 150 percent increase from their current level.